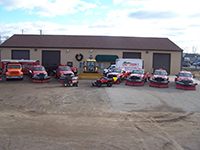 At Evergreen Lawn Care & Snowplowing Inc, we have the equipment and ability to handle any size commercial and industrial size property. We offer high quality professional and dependable winter service. We are a full time group of professionals that take this responsibility seriously. We have our own fleet of modern well maintained equipment that is always ready to go. With over 20 years experience, we know what to plan for when it comes to snow and you can count on us to deliver timely service. 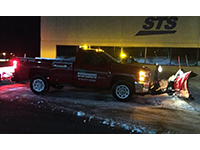 Our fleet of trucks, loaders, skid steers and shovel crews are always on stand by ready for any winter weather occurrences. Every truck and operator is equipped with digital two way radios. Each operator monitors and records property conditions at every visit. We also have real time communication via the web. 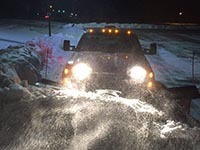 you can click on our snow event updates to find out how our crews are doing during any snow event. Plowing & shoveling available on a per-occurence or per-season contract allowing budget flexibility. 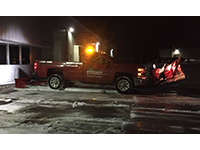 With our dedicated deicer trucks there is never a slippery moment. Our drivers are continuously monitoring conditions and future forecast to ensure the right amount of product is being applied. You pay only for the amount of salt needed for each application based on a per ton price. Discounts given to those who use the salting service after every snow fall.ed of leaves and other winter debris in the spring. Because one of the largest liabilities companies face today is the Slip and Fall lawsuit, each of our sidewalk crews is prepared to de-ice all walkways every time they visit a property. We also document conditions and what services and products were used to further help the customer's case. Since every property is different and may require extra services, call us today for a consultation and let us know what we can do for you. When the snow piles-up or if losing parking spaces is critical, we can move or stack snow with our front-end loaders. Off site removal also available. All costs are billed hourly.